Today I would like to share with you a project that I really had a lot of fun with. 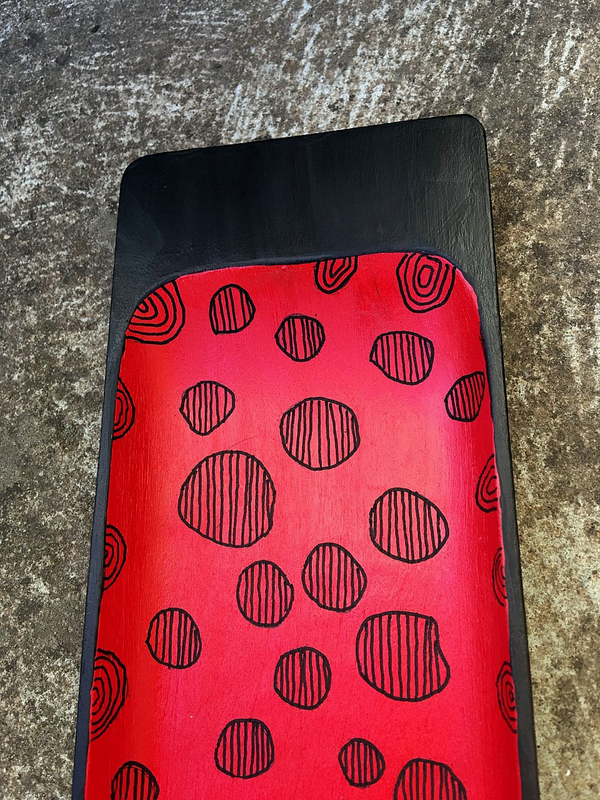 For this brief of What is Old is New Again I went Op-Shopping and found an interesting wood tray, and as soon as I saw it I knew exactly how I wanted to 'make it over' using the fabulous StencilGirl stencils. The end product will be used as a home decor item and I plan on hanging it on my the wall in my creative space. Here are a couple of before photos. To begin with, I removed the plastic decoration and the label on the bottom and cleaned up the tray just with a wet wipe. 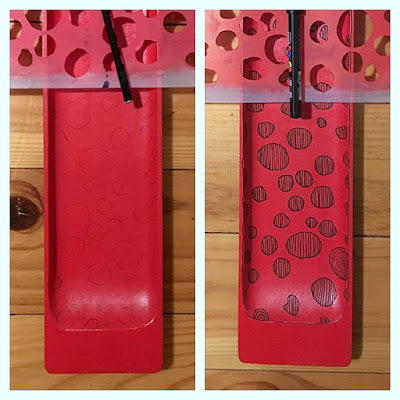 I painted the tray with 2 coats of red acrylic paint. 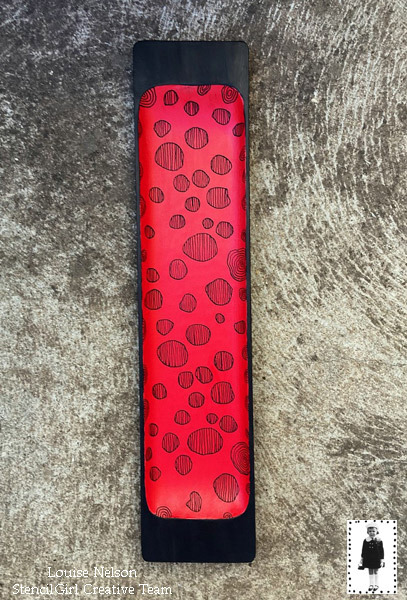 I chose red as it coordinates with the decor of my creative space. 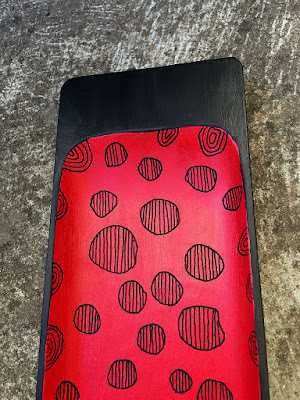 When the paint was dry I used the 'Speckles and Spots' stencil, designed by the fabulous Carolyn Dube, to trace the circle pattern onto the bottom of the tray. I then went over the 'Speckles and Spots' circles with a black Posca paint pen and then filled the circles with a basic line and circle pattern. 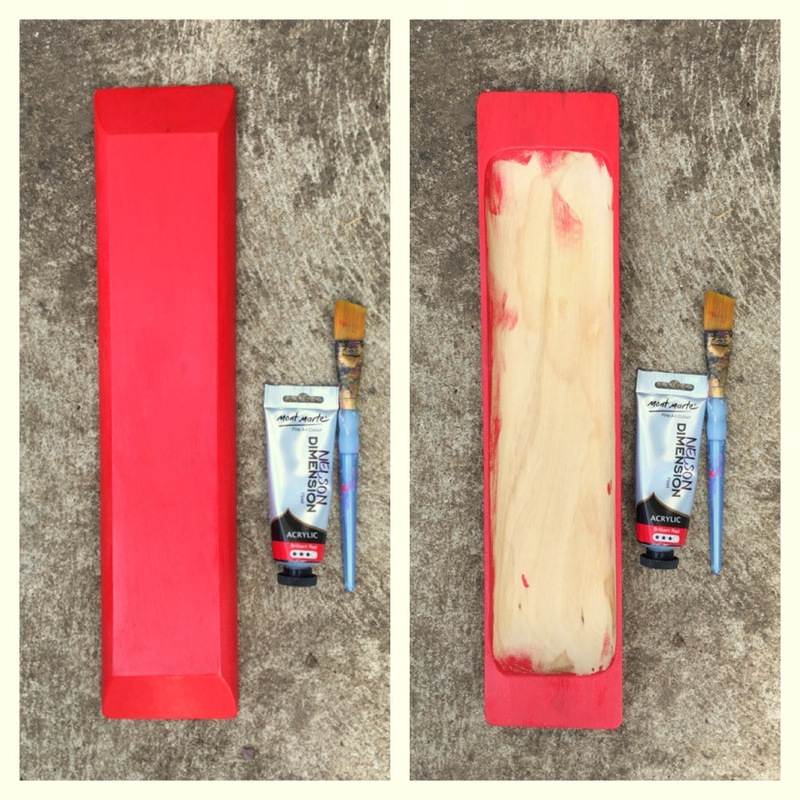 When I finished the tray with a coat of black acrylic paint around the edge I applied a spray sealer coat. 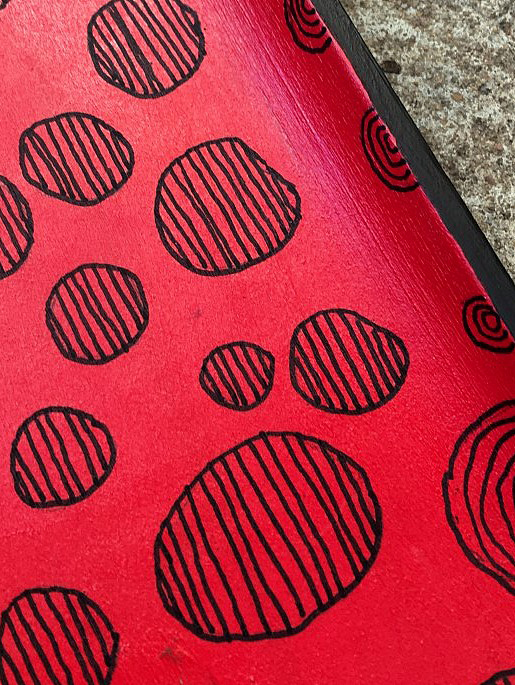 Here are some close-up images of the finished project. I do hope you have enjoyed this quick and easy 'makeover' of a wood tray. Cheers and Happy StencilGirl Stenciling! So effective, bringing that wood back to life to live again. 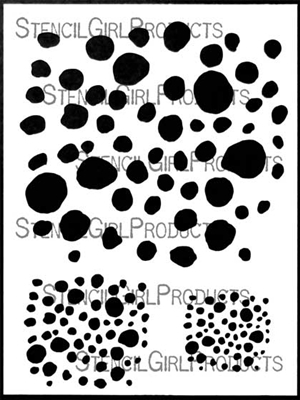 I do wish the stencilgirl stamps were easier to come by over here in the UK, i'd be showcasing them so much more in my designs. Thanks so much for sharing.